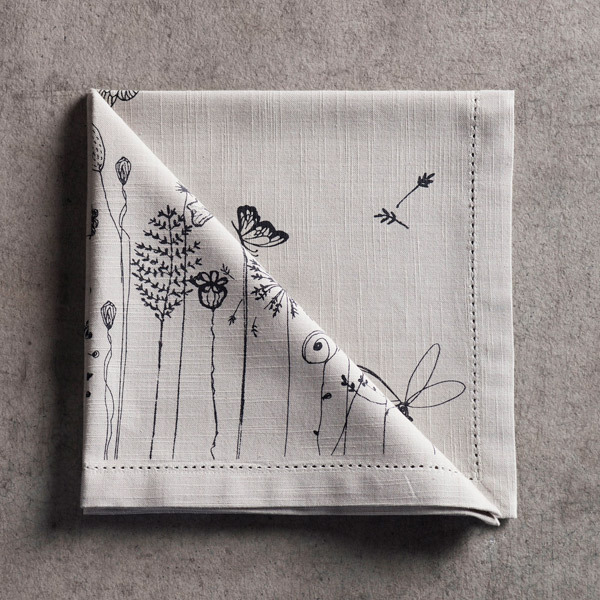 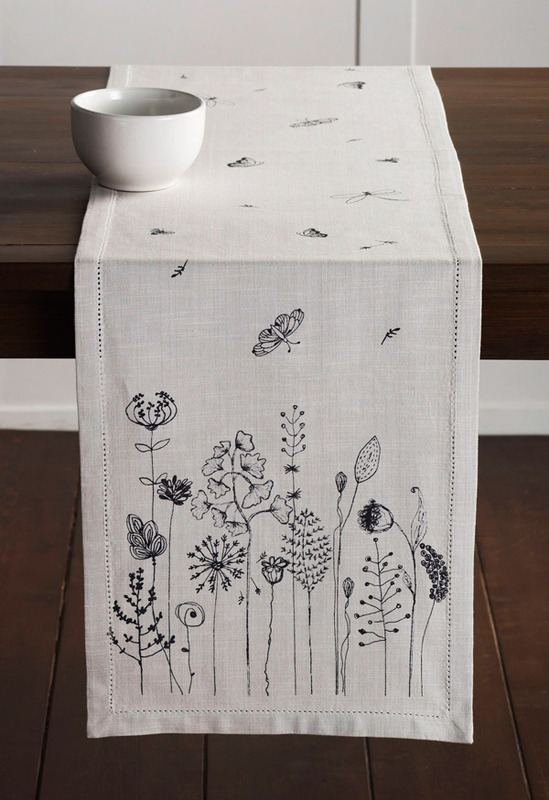 Our Flore collection plays host to beautiful flowers, plants and insects straight from a countryside meadow. 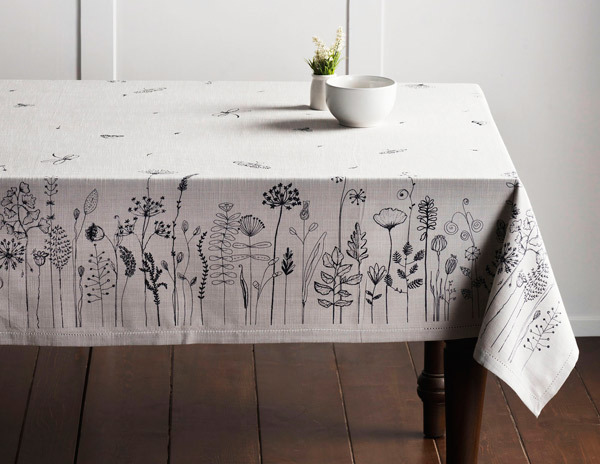 Designed in France and printed by skilled craftsmen in India, the Flore collection portrays a floral paradise using a richly detailed imagery of beautiful foliage with a few insects keeping them company. 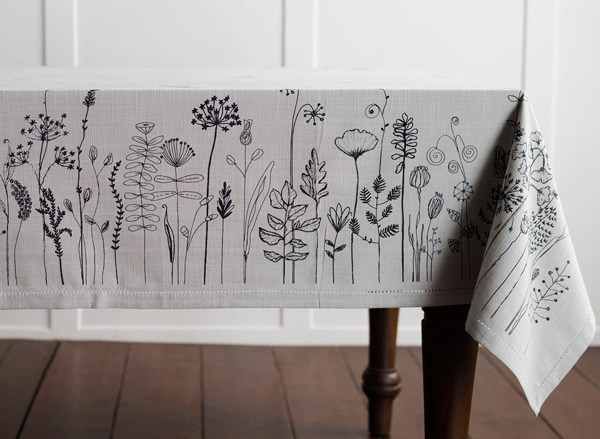 Printed in black on a grey background, with a picoting finish along the edges, the Flore collection is carefully screen printed by hand, imparting a unique personal touch to every single product in this collection. 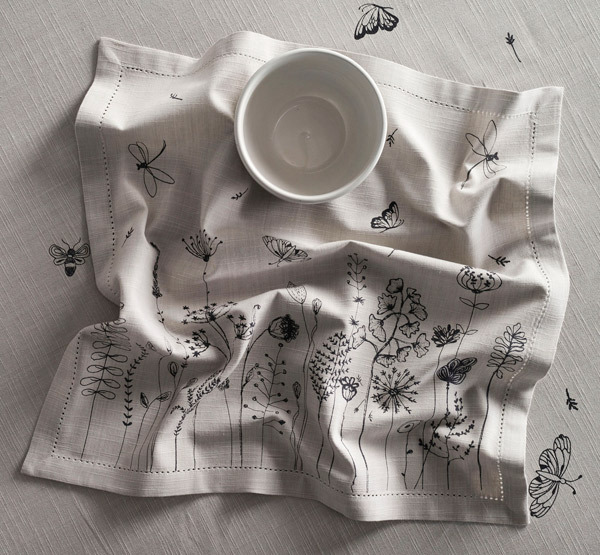 Each piece in this table linen collection is made from soft slub cotton and lends a unique French feel to your dining setting.